Description: Such a fun party dress! Zips up the back with a metal zipper. Fitted all the way down to the flouncy hem. 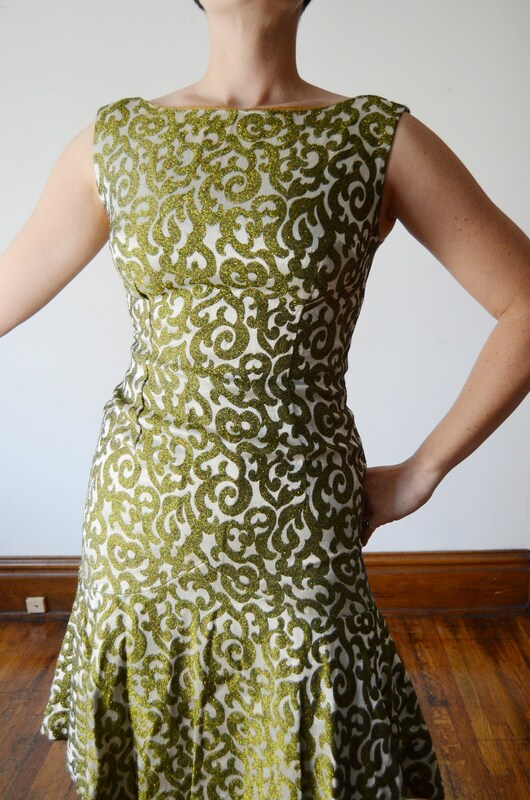 Condition: Great shape, very few flyaway threads from the weave but the dress presents wonderfully on.